PureVPN is a Hong Kong based company that has been on the market for 10 years. Its motto: Offering the cheapest VPN without cutting corners. And that's the reason why it's so popular among VPN users. Indeed, Pure VPN is affordable but not only. It also offers a high speed connection. Therefore people use it to improve their poor Internet connection aside from unblocking restricted content. Read the full PureVPN review below. While most of you always enjoy a good deal, you know that protecting your privacy has a cost. 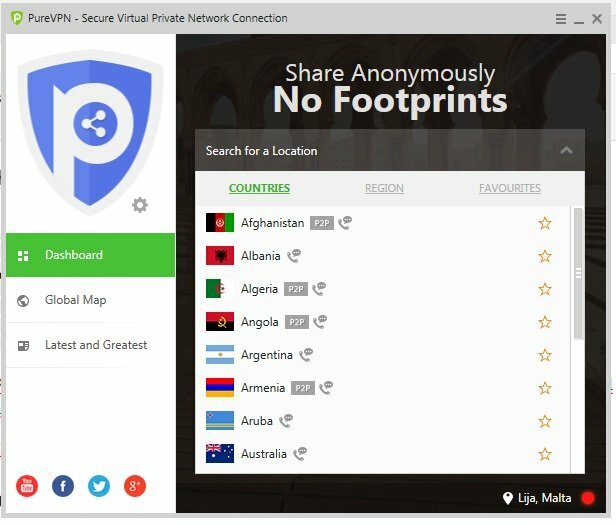 But PureVPN is one of the best VPN you can get, with a wide and fast network of servers (located in over 140 countries). And it comes with the lowest price tag! So you can easily watch American Netflix with the highest definition or download torrents. Indeed, PureVPN is torrent friendly with a strict no-log policy, among other things. And it's user-friendly: The client is loaded with the Smart Purpose Selection feature. Therefore it automatically selects the best server depending on the activity you wish to do. Finally, PureVPN is available on almost all devices (computers, mobiles, routers etc.) with native applications. When you need a VPN "à la carte" you can use the Split Tunneling functionality of the VPN client. Indeed, it allows you to choose which programs will use the VPN connection. And all the applications that are not listed will keep using your regular internet connection (Skype for example). This feature is an absolute necessity for users who want to guarantee their security and privacy protection. Indeed, there is always a risk of your VPN connection to drop. Even with the best VPN. And when that happens, your OS will reestablish the connection without the VPN. Therefore the IP address of your device and your traffic are in the clear. So if you are downloading torrents, for example, then it's possible to identify you. And you're at risk. Good VPNs (like PureVPN) know that. Therefore they developed the Kill Switch feature to make sure your data remain protected even when the VPN connection drops. Basically, the client blocks all your outgoing traffic until the VPN reconnects. So it maintains your privacy and anonymity and ensures that your ID is never exposed. A NAT firewall offers an additional layer of security to your VPN connection. So you won't get unsolicited traffic to your computer. And it's always enabled. Indeed, it is set up directly on PureVPN servers. Therefore you don’t have to do anything. And your connection is automatically protected from the VPN server against any threat. Gamers are competitive people. And sometimes they're even ready to attack your connection during a tournament to slow it down. As a result, they get a technical advantage over you to win the game. But a VPN is the best protection against all DDoS attacks. Indeed, PureVPN can overcome even the most complicated DDoS attacks. Therefore you won't even feel a thing. And you can keep playing in the best conditions. Most VPN users will share the same IP address of the VPN server where they connect. And that's fine. Indeed, all the traffic is mixed and it protects your anonymity even more. But if you may need your own IP address, for whatever reasons (reputation, security, or privacy for example). And it's possible to get a dedicated IP address with PureVPN, by paying an additional fee. Maybe you are looking for a VPN to avoid your ISP or your government to log your online activity. So you don't want your VPN to keep logs either. Then PureVPN is the right choice for you. Indeed it enforces a strict no-log policy. Therefore it does not keep any logs that could identify or help in monitoring your activity. Related to that is the fact that Pure VPN is torrent friendly. Therefore, you can download torrents and use the P2P protocol without having to think twice. 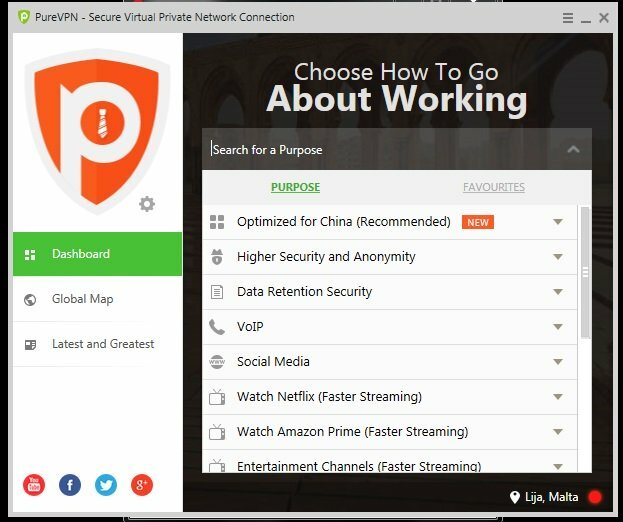 While PureVPN may not be the best VPN for Netflix, you can unblock the American library of Netflix. And that is what 95% of users really want from their VPN. Take a look at the table on the homepage to check the status of the service with Netflix. Due to its positioning, PureVPN has one of the most aggressive sales policy of the VPN world. Indeed, there's always a new promotion on their website. Therefore you can get over 70% discount almost all year round on their annual subscription! While there's only 1 all inclusive package, you can decide to subscribe for 1 month, 6 months, 12 months or 24 months. The longer the subscription, the better the deal. And if ever you are not satisfied with their services, you can get your money back up to 7 days after subscription. 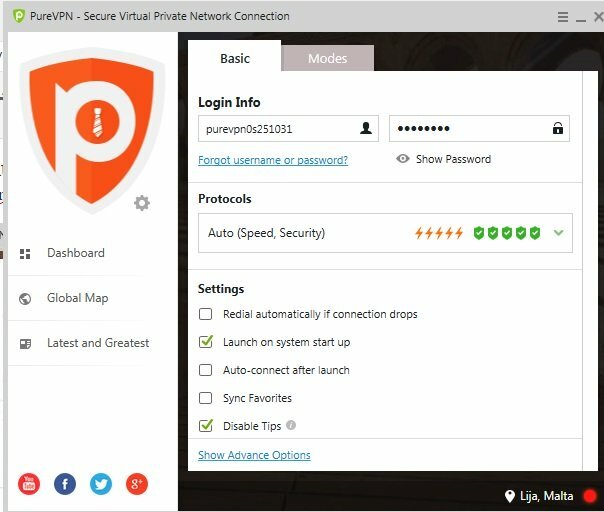 PureVPN is a serious contender for the title of best VPN. Indeed, with fast servers in most countries, you can unblock geo-restricted content and watch HD streaming. Furthermore, Pure VPN focus on protecting your privacy online with a strong encryption, and security features like kill Switch and NAT firewall. Finally, it is easy to use and cheap. Therefore definitely suitable to any profile and worthy of the podium!